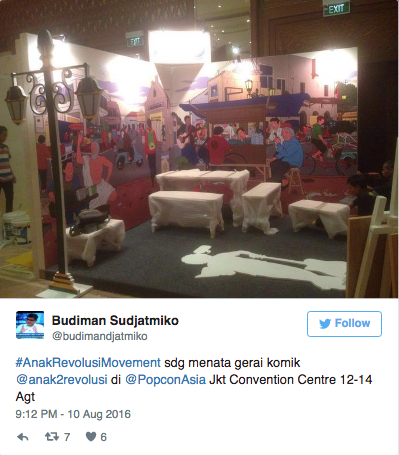 Komik Serial Anak-anak Revolusi I: Talking about a Revolution (Children Revolution Comic Series: Talking about a Revolution) is set to be launched at the main stage of the annual Popcon Asia 2016, on Aug. 14 in the Jakarta Convention Center, South Jakarta. 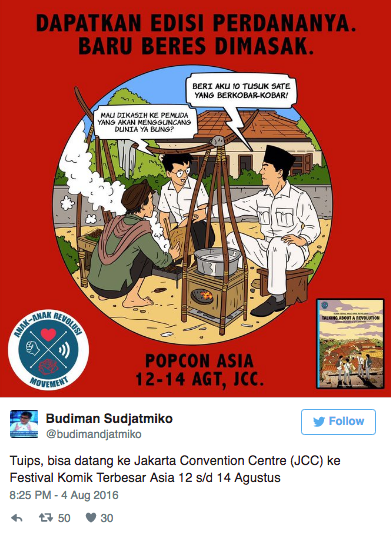 The series, which was adapted from the book Anak-anak Revolusi (Revolution Children) by Indonesian Democratic Party of Struggle (PDI-P) lawmaker Budiman Sudjatmiko, was a collaboration between Budiman, Hari Prast and Yoga Adhitrisna. 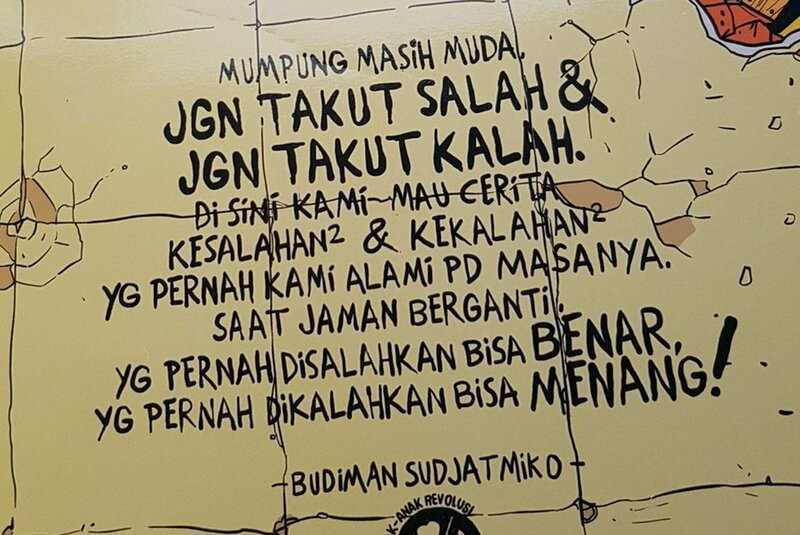 Slightly different from Anak-anak Revolusi, which was also Budiman’s autobiography, the series will consist of stories that are not in the book and are to be shared with Indonesian youth. The stories were written by Budiman after he experienced a substantial change in Indonesia at the end of the 1990s. The Anak-anak Revolusi comic series is to be released in three titles: Talking about a Revolution, Forever Young and Darah Juang (Blood of Struggle). The first was inspired by Tracy Chapman’s song “Talkin’ ‘Bout a Revolution”, while the second was inspired by a song that was played by a Germany-based band, Alphaville, and the last title was inspired by a pro-democratic struggle anthem by John Tobing.